When it comes to lipglosses, for me comfort is king. It Cosmetics is quickly moving up in my world & I’m reaching for their products more & more. 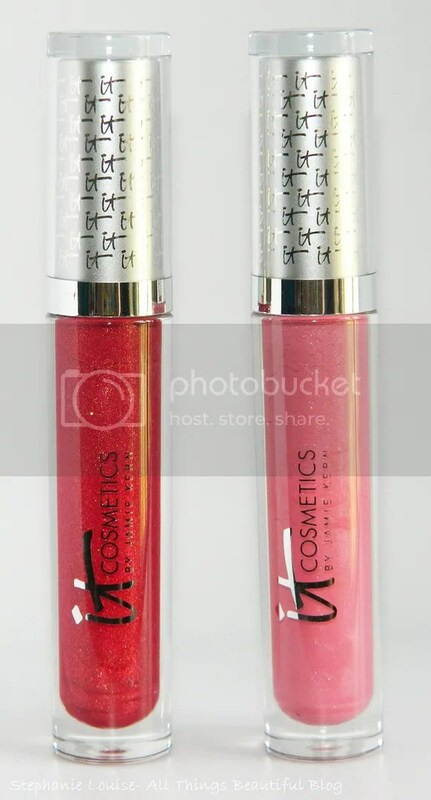 Today I get to show you 2 of their new It Cosmetics Vitality Butter Glosses in Ruby Slippers & Pretty in Pink. Keep reading to see swatches, lip swatches, & my thoughts! 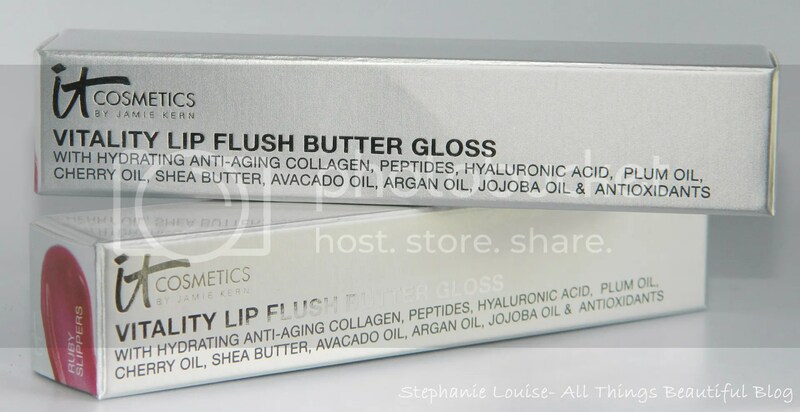 From the It Cosmetics site: Vitality Lip Flush Butter Gloss With Hydrating Anti-Aging Collagen, Peptides, Hylauronic Acid, Plum Oil, Cherry Oil, Shea Butter, Avocado Oil, Argan Oil, Jojoba Oil & Antioxidants. Developed to give that long-wear flush of naturally pretty shine of color and the anti-aging hydration of a super-luxe treatment lip gloss serum. With all the hydrating ingredients in these glosses I was expecting a lot…which I got back in spades! They are comfortable to wear, easy to apply with a doe foot, & the shimmer doesn’t feel gritty at all. They come packaged in a nice silver box, I love that a swipe of the shade inside appears on the top. 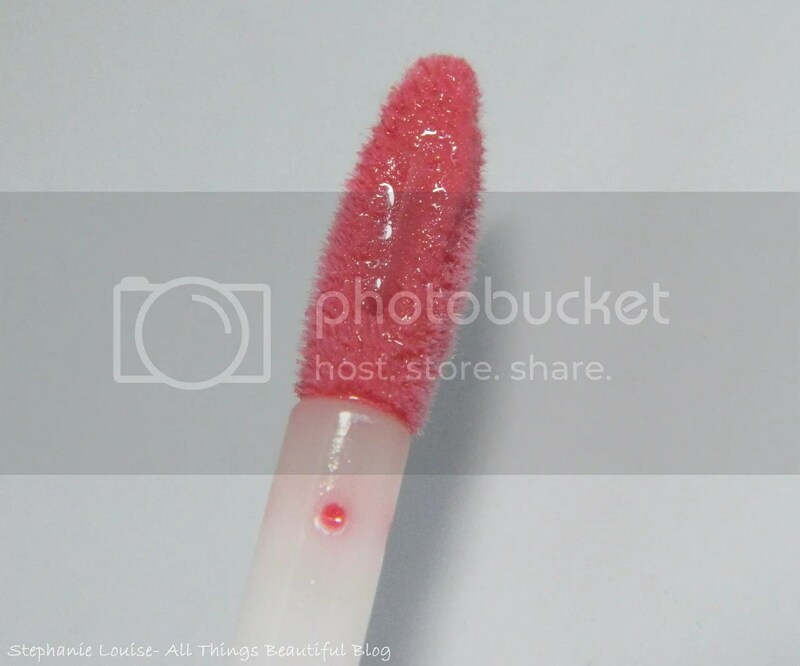 The applicator is a slightly bent doe foot with a well in the middle, similar to the Rimmel Show Off Lip Lacquers I reviewed for you awhile back. I love this method of application & I so hope more brands dive in! I prefer not having to dip back into the tube because it usually delivers what I’m looking for in one fluid motion. The shades I have are Ruby Slippers (left) & Pretty in Pink (right). Swatches are both in sunlight & shade. Check out that beautiful shimmer! 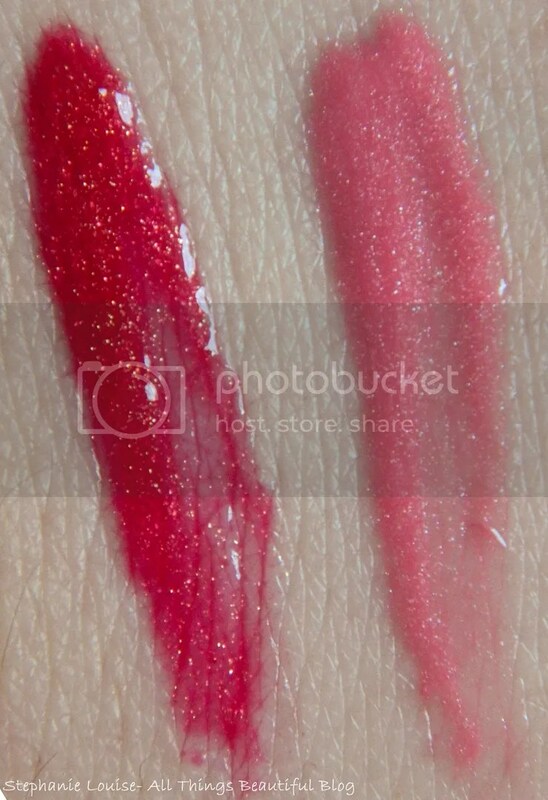 It Cosmetics Vitality Butter Gloss in Ruby Slippers is a sheer red with golden shimmer. It leans a bit berry on my lips because of my lip pigmentation. 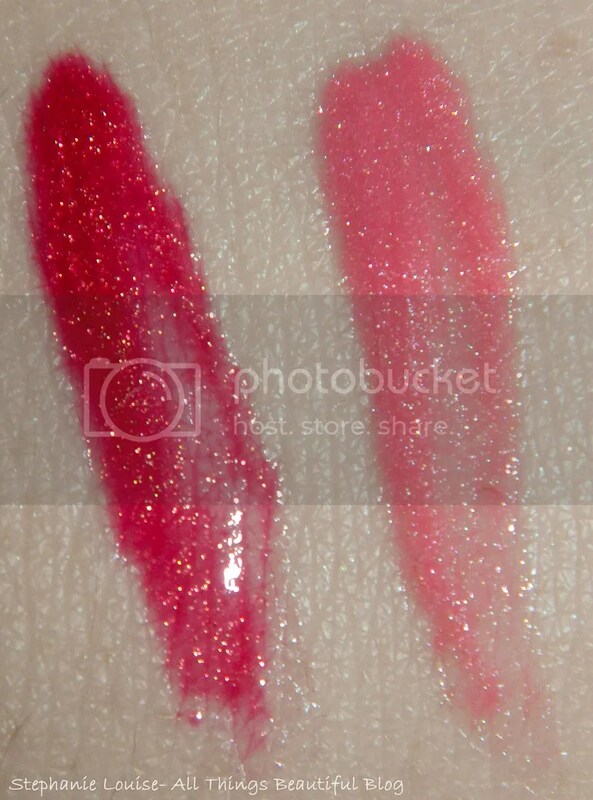 It Cosmetics Vitality Butter Gloss in Pretty in Pink is a light pink cream with shimmer. It doesn’t really look shimmery on which I like, it just makes my lips look fuller. Love this shade! Overall, very happy with these shades! They aren’t going to be super opaque but they are super comfortable to wear. Like I said, comfort is king. I would really like to pick up some more shades! You can purchase these shades from the It Cosmetics website.